Nicole, a successful food blogger, reconnects with her bestie, Charlotte, a travel writer, meet up at Nicole's beach house, where the pair spent many summers together. As Nicole prepares the family beach house for sale, the pair revisit their friendship to find out what went wrong. Nicole, would rather face her computer than interact with real people, while Charlotte can make instant friends. Using Charlotte's outgoing personality, Nicole hopes to get her help and collaboration interviewing the locals for a cookbook project and, even better, rekindle their friendship that seemed to end when Nicole married her physician-husband. Those secrets and a few others between the characters are only alluded to through out the book and you will be engaged until you find them all out. Charlotte has held her heart close and kept everyone away until she meets a mysterious and introverted man on the island. While Nicole has her own issues and secrets in her marriage. ARGHH, I so want to spill the beans on the details, but it would ruin the whole thing. 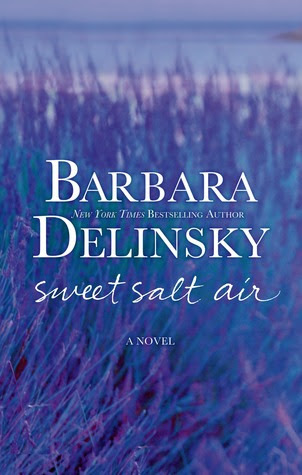 Delinsky's characters never disappoint and this story is another winner for me. One note: eat before you read this book. The food descriptions are a true delight and I was starving for some of the recipes. Looking forward to this women's fiction novel! This book out of over 60 in June was my favorite. There was so much to the book that made me happy and satisfid. You won't be disappointed with any of Barbara's books, she's just that type of author.